This page provides a focal point for classes of all kinds beyond formal schooling. Fees are payable for most of these classes; do ask about these before you join a class. Please check the Sport & Leisure page for the non-class sporting activities and for swimming lessons. There is a charge for these sessions. Childrens BALLROOM & FREESTYLE dance lessons. Every Friday after school. Please call 07742 104405 or email for details. Designed for children aged 2 and 3. Must be accompanied by an adult. A variety of classes are organised and run at the Arts Centre, known colloquialy as Bollington ‘University’. Check the web site for details . Spanish, French conversation and Italian. See web site for details. For beginners and advanced, held at the Arts Centre on Mondays. Computer classes are held on Tuesdays, 10am to 3.30pm. Computer ‘Buddy’ Sessions (one to one computer skills sessions) are held at Bollington Library on Tuesdays, contact: 01625 378266. Free taster event on Monday 8th January for my brand new Beginners Course starting 15th January. Come along and try this Pilates session and then enrol for the course if you wish. 5 Week Pilates Beginners Course begins Monday 15th January, 09:30 – 10:30, at Bollington Arts Centre , Wellington Road, Bollington. Course is 15th Jan – 12th Feb incl. and costs £35*. *Early bird offer – purchase the course by 1st January for just £30! Strengthening, movement patterns and body awareness, balance, coordination and functional exercises all in one class – led by physiotherapist Hannah Atkin. We welcome mums/dads and their babies who are struggling to find time to workout while looking after a little one. Classes are gentle circuit style workouts that focus on those all important legs, bums and tums. We go at your pace and focus on our mental as well as physical wellbeing. Message me for more info. Classes are Thursdays, 10:30 – 11:30, Bollington Arts Centre, Wellington Road. Dynamic and restorative yoga, along with meditation classes. Tuesday and Friday mornings and Thursday evenings. Gentle Yoga classes led by a qualified instructor, every Thursday morning from 10:30 – 11:45. This is a great opportunity for beginners. Come and give it a try – all welcome and it’s pay as you train, no upfront costs or joining fees. Meetings on Mondays evenings at the Scout Hut (Albert Road). 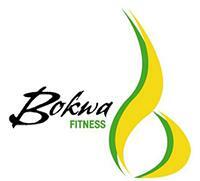 BOKWA is an energetic and exciting dance class that combines cardio conditioning, strength training and flexibility. It integrates customary African dance with boxing manoeuvres, Capoeria and Dance Steps. Bokwa fitness is exciting, energetic, exhilarating and constantly remains challenging, however is tailored for every type of individual to boost fitness and assist with weight loss. Classes take place at Bollington Civic Hall on Wednesdays 7.15-8.15pm, and at St John’s School on Fridays from 7.15 – 8.15pm. There is a £4 charge for these sessions. 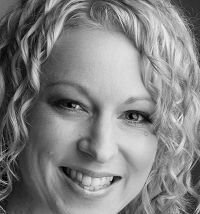 Janice has also recently been licensed in Zumba Gold for the more mature mover and shaker! and will have some classes up and running in the New Year – please call or email for details. Beginners are welcome and hoops are provided. Whether you want to trim up your lovely, but stubborn tummy & body, learn to move & dance in a whole new way or impress your friends with your new amazing tricks, hula hoop dance & aerobics sessions are for you. A wide variety of swimming and other physical excercise courses are available at the Bollington Leisure Centre. Pam specialises in one to one tuition usually at her house in Kerridge. See web page for details. Weekly group learning and practice sessions for this popular band. Plenty of time for new joiners!